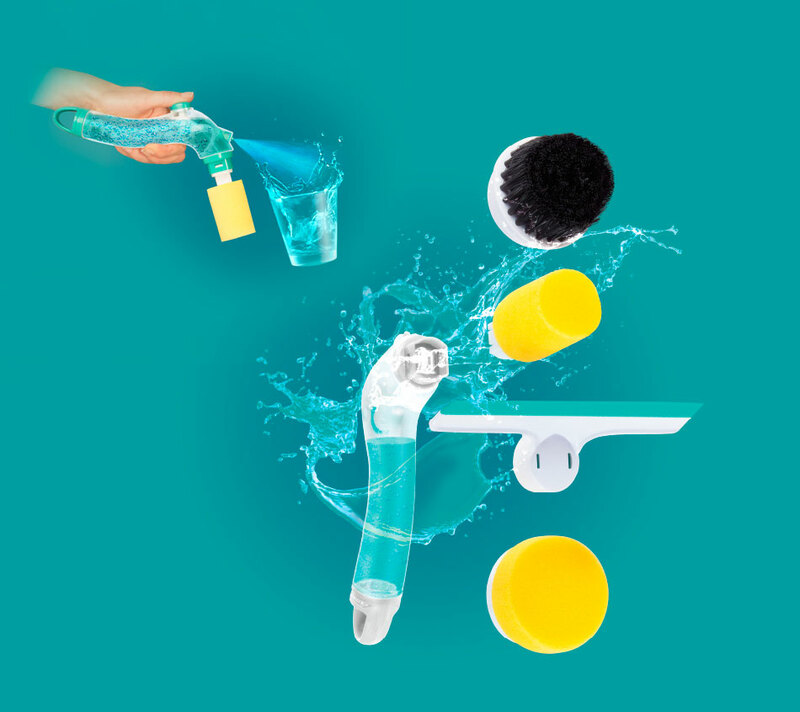 Thanks to its interchangeable attachments, you can clean glasses, dishes or pots in a matter of seconds, even when the dirt is ingrained. Its detergent dispenser button speeds up the whole cleaning process. It also includes an attachment for cleaning glass, windows or screens. 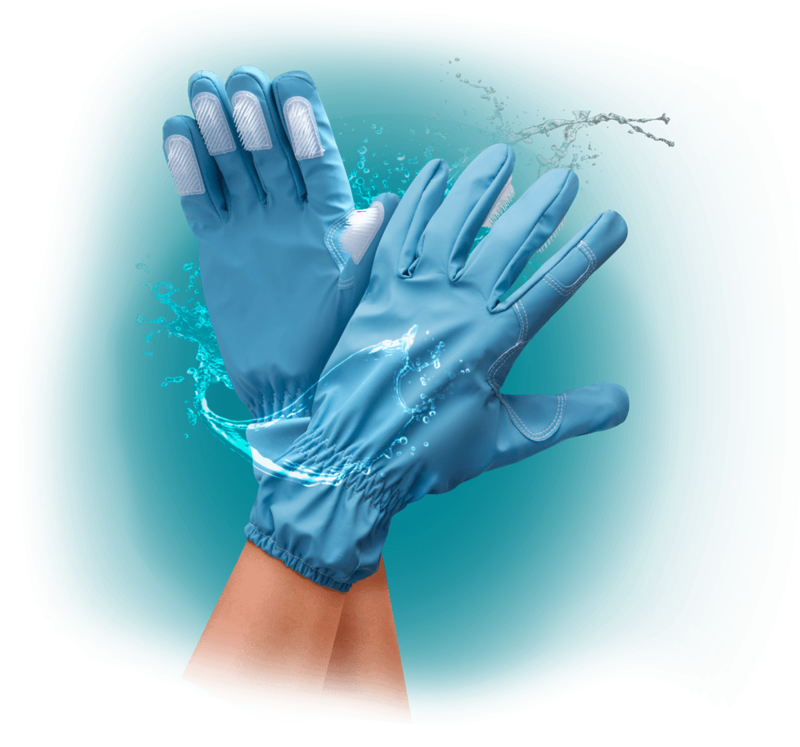 Cleaning can be much easier and faster with Scrub-a-gloves. Thanks to their plastic bristles, dirt comes away from plates, shower screens, taps and more delicate surfaces much more easily. Includes 2 gloves, can be washed in washing machine.